Note: Packages shipped via China Post （EUB）with/without tracking number to Latin America, Africa, Australia etc. normally take 8 to 14 days according to the products property. Also you can choose FEDEX,DHL,TNT,UPS etc. as you like for faster and safer dispatching. 1. Sometimes some packages would be delayed overtime because of some unexpected such as random customs inspection, or other unknown reasons. 2. For China post, the order will be sent separately if the package is above 2 kilograms. 3. Customers from Russia or neighborhood of it choosing FedEx require less than 5 items, which spends 15 business days on shipping. Moreover, customers from Russia or neighborhood of it choosing China Post Air Mail without items limits spends 30-50 business days on shipping. 4. We suggest choose China Post Air Mail with Tracking Number(you can follow your package by tracking number), because shipping by Express shipping such as DHL and FedEx may charge high tax. 1) Products which contain battery, powder, liquid, or solid can only be taken by China post. 2) electronic products can only be taken by China post. 3) The watch can only be taken by China post and EUB. 2. The customs and import issues including any taxes, tariffs and item seizures are the sole responsibility of the customers. We can dispatch your package as a "gift" or declare the value at a lower price, but we can not guarantee that there is no tax. If you have any idea about your item valuable to help you with the tax when shipping by Express (DHL or FedEx ), please contact us before the order has been delivered. Otherwise, we will write the acceptable value for you. When you buy from us, we want to make you completely satisfied. If for any reason you are not satisfied with the goods, you can exchange or ask for refund. Before returning, please take time to contact our after-sale Customer Service (email address: sales@diginumen.com ) and read our return policy carefully. 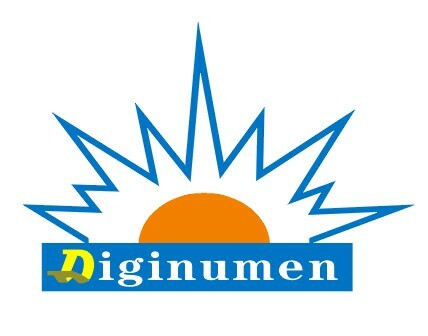 1.Digi-numen.com reserves the right to charge the handling fee for all returned products. TIPS: Write your order number on the package to make your package recognized quickly and we can refund money to you as soon as possible. 2. Digi-numen.com will confirm the information. 3.After we making sure that we sent you the wrong item, we will refund you the amount to your account which you can use for new order or inform our financial staff refund back to your PayPal account or others if you like. We offer full refund on any items that are found to be faulty or damaged due to our fault. Damage caused because of the fault of the third party or customer's own fault cannot apply for refund.